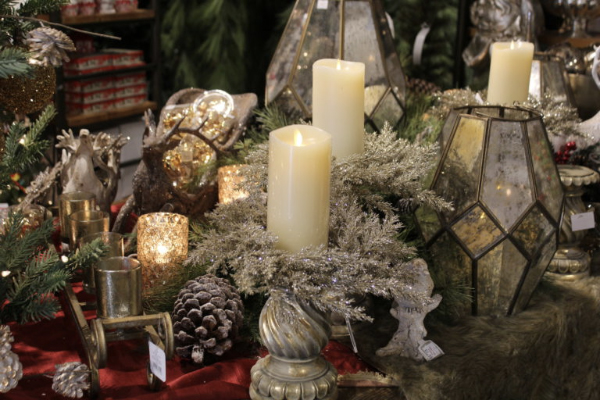 Every November, we transform our garden center into a magical winter wonderland. 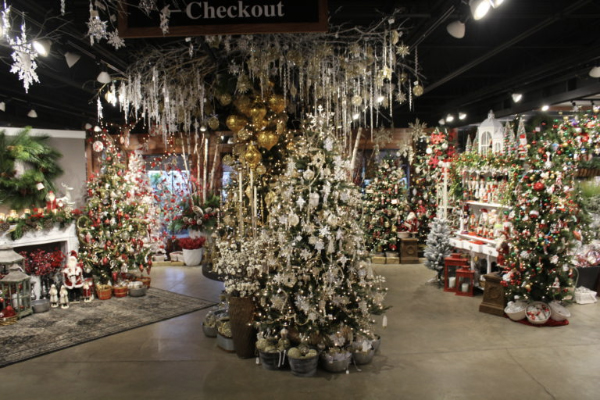 Forests of decorated trees, lights, decorations and holiday gifts put Family Tree Nursery at the top of Christmas rooms in Kansas City. Our holiday season always kicks off with our very popular Ladies Night and Open House with music, refreshments and in-store specials. 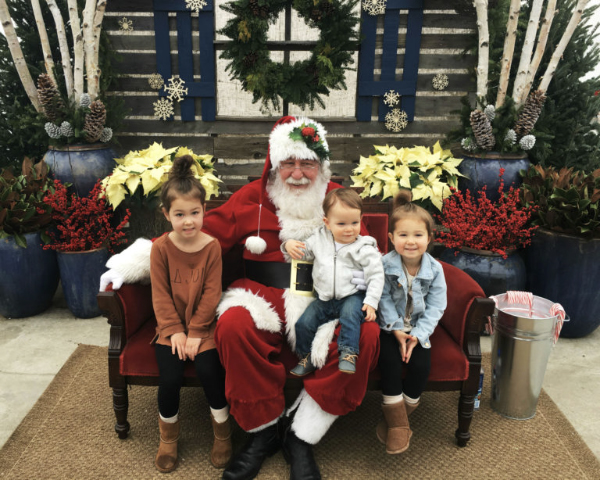 Santa is wonderful to always fit Family Tree Nursery into his hectic holiday schedule. Every year, he makes a scheduled appearance at each store and invites children to have their photos taken with him. 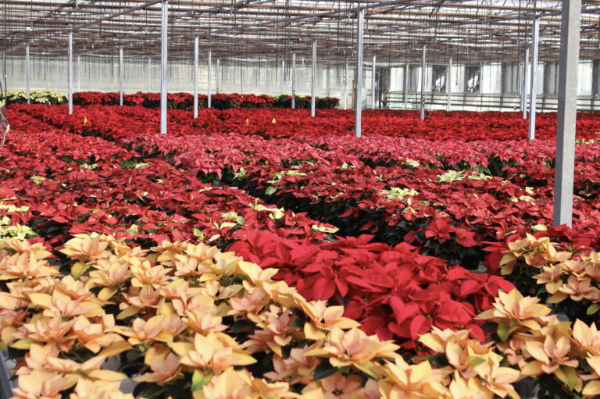 We grow thousands of the very best Poinsettias you will find anywhere. From fun-size 3″ to near room-filling 10″ we have all the cool new colors and varieties. Tip: Always keep Poinsettias away from register vents or doors that open. We have more types of greens and roping than anywhere else in town. Roping can be purchased by the foot or by the coil and bundles of greens are sold by the pound. Check out our beautifully arranged winter pots meant to slip into your pots at home. We are also happy to work with you to design specific arrangements for your unique containers. We do not spray our roping and greens with wilt-stop so you can enjoy a stronger fragrance, but spraying greens will extend the life of greens. 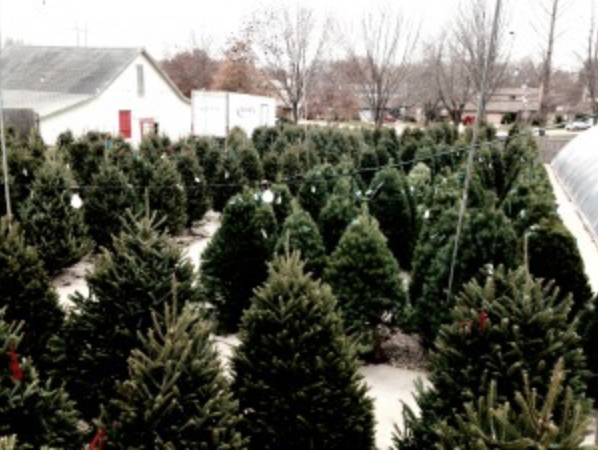 We stock a lot full of fresh cut trees – in all sizes, types and prices. 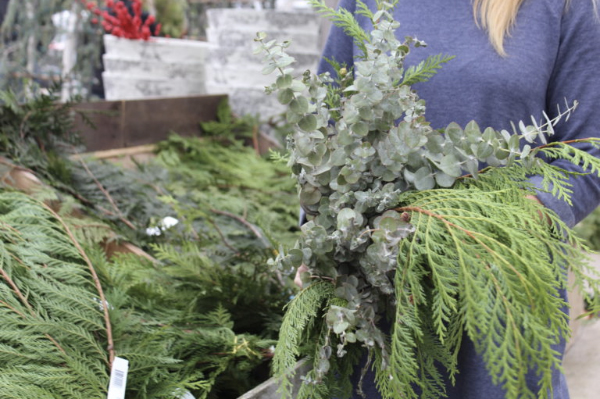 We want to make the tree shopping experience a positive and memorable one so we will always make a fresh cut, shake the tree to eliminate excess needles, wrap it and tie it to your vehicle and provide you with a complimentary tree bag. Additionally, we spray all our trees with wilt-stop as an extra step to ensure continued freshness. Drive straight home after tree is cut. Put tree into a bucket of HOT water immediately once home while preparing stand. If tree rests for more than 30 minutes before going into water, the end may begin to callous over and tree might refuse to drink. Make a fresh cut. Trees will drink A LOT of water the first few days – DO NOT ALLOW STAND TO EMPTY! Always use very hot water to refill stand. Always use a tree preservative in the water for best results.